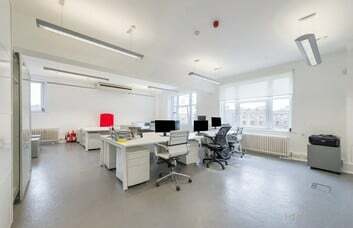 These Farringdon offices present professional business space for hire at an affordable price. 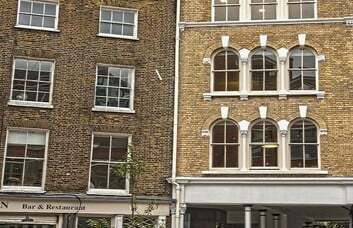 The building in EC1 can cater to businesses of any size and with a variety of office needs. 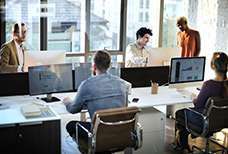 The rental opportunity can be offered on a non-Serviced or Serviced basis. 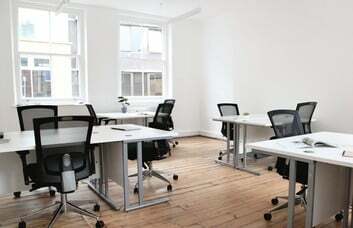 In addition, the rental agreement allows for the provision of furnished or unfurnished space depending on your needs. 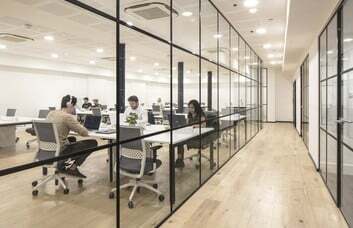 As well as occupying the offices, tenants can make use of the property's boardroom spaces and common areas. Each unit benefits from air conditioning and floor-to-ceiling windows that let in lots of natural light. Car parking facilities are provided on these premises, which are open to tenants on a round-the-clock basis. 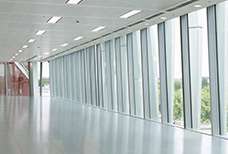 Other beneficial features include disabled access, security systems and elevators. 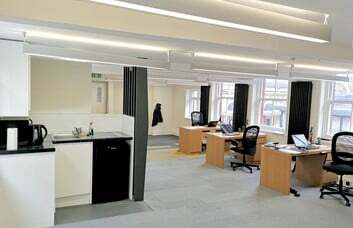 The self-contained units can be connected to super-fast broadband and telecoms at your request. 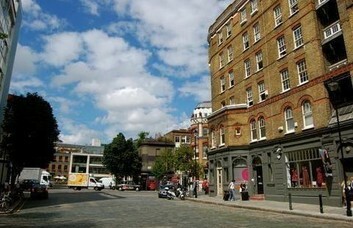 Mainline train links include Farringdon train station, which is a few minutes’ walk from the property on St Johns Lane. The Hammersmith & City, Circle and Metropolitan lines are also provided here. Drivers can access the area via Junction 1 of the M1 and Junction 4 of the M11. Alternatively, Junction 8 of the A1 (M) is less than four miles away. Local amenities are plentiful and include several pubs, bars and restaurants in the area for convenient lunch breaks. 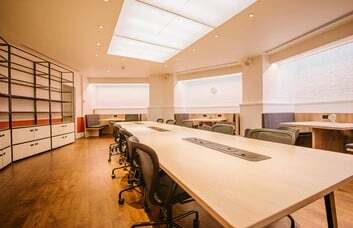 However, the property is in a tranquil and secluded area for a good working environment.